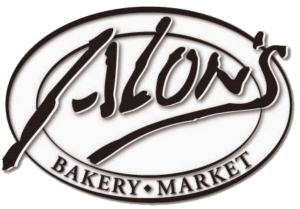 Alon’s Bakery & Market retained Blue Orbit to assess operations, standardize service, re-merchandise retail floor, develop operational systems, evolve back office systems, and refine management and training protocols. This project required full immersion for several months where Blue Orbit worked side by side with management and staff to fully understand operations. During the assessment process, Blue Orbit established benchmark targets for operating model. From there we went to work, evolving the management structure to support the model and to prepare for a hub and spoke, commissary system for a new store opening. 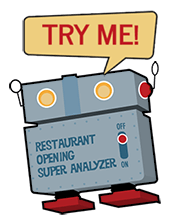 We developed training methodologies that immersed operators in multiple venues, giving them a comprehensive overview of interdepartmental synergies. From this vantage point, newly trained managers were better equipped to see and understand how their responsibilities impacted the entire operations. Additionally, Blue Orbit developed manager communication protocols to ensure that managers were on the same page. With a significantly intertwined catering operation, Blue Orbit worked with owner and newly hired catering director to implement and streamline ordering protocols and sales team compensation model to drive sales through incentives while improving communication with kitchen for product ordering and production setting. Overall production setting was evolved from a heuristic approach to a forecasting and prep-to-shelf life system, which reduced waste and trimmed labor schedules. Blue Orbit also re-vamped back office systems including Profit and Loss Statement reporting, chart of accounts, and accounting protocols. Finally, Blue Orbit applied Areas of Responsibility to the management structure to implement merchandising philosophy and structure to improve the operations “shopability”. Within three months of Blue Orbit’s operational immersion, Alon’s was able to successfully launch its much larger facility that served as its commissary production facility and main brand outlet. The operation thrives today in Atlanta’s bustling Dunwoody and Morningside neighborhoods.